Kalisz. 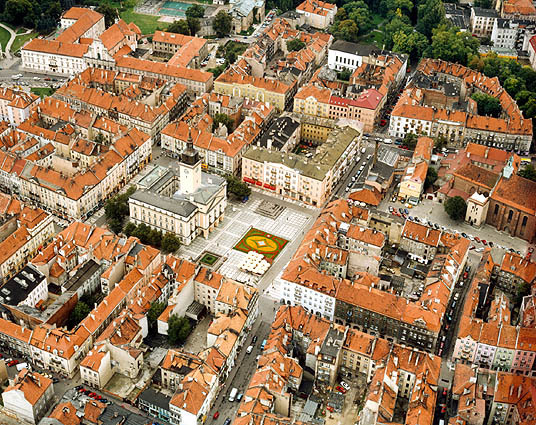 A city (2010 pop 106,857) and county center in the Great Polish voivodeship, Poland. In the 1920s and 1930s it was an important Ukrainian émigré center. An internment camp for the UNR Army soldiers who had crossed into Poland existed there from 1920 to 1924. Cultural and educational activity—schools, courses, publishing houses, theater, Vasyl Avramenko's folk dance school, irregular periodicals of short duration, and the literary monthly Veselka (Kalisz) (1922–3)—flourished in the camp. After 1924 the community's life was centered in an area of camp 10 called Ukrainska Stanytsia, where such institutions as the Society of UNR Army Soldiers, the Ukrainian Association of Disabled Veterans, and the Shevchenko Gymnasium (1921–37) were located. The latter had a total enrollment of 1,000 and graduated 130 students during its existence. The monthly Ukraïns’kyi invalid was published there from 1925 to 1931. The Ukrainian Military History Society, with its annual Za derzhavnist’ (1929–35), and the military journal Tabor (1923–6) were located in Kalisz before being transferred to Warsaw. About 1,500 Ukrainians remained in Kalisz and its vicinity in the 1930s.